Pertti Vakkari is Professor at the School of Information Sciences in Information Studies and Interactive Media at the University of Tampere, Finland. 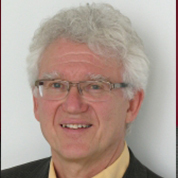 His work concerns information seeking, task-based information searching, fiction searching, evaluation of interactive information retrieval and outcomes of public libraries. He is deeply involved with the Finnish Information Retrieval Experts group (FIRE), a group of Finnish researchers and post-graduate students in Information Retrieval. Vakkari has served as Chairman of the Nordic Information Studies Research Education Network, board member of the Nordic Research School for Library and Information Science, member of the Standing Program Committee of the International Conference on Information Seeking in Context (ISIC), and member of the Editorial Board of “Information Processing & Management,” and “Journal of Documentation.” His publications, too numerous to list, include, “Result List Actions in Fiction Search,” published in Proceedings of the 15th ACM/IEEE-CS Joint Conference on Digital Libraries in New York, NY, for which he won the Vannevar Bush Award for Best Paper in 2015. Susan Dumais is Distinguished Scientist & Deputy Managing Director, Microsoft Research Lab, Redmond, Washington, where she has worked since 1997. She is interested in algorithms and interfaces for improved information retrieval, as well as general issues in human-computer interaction. Her current research is focused on gaze-enhanced interaction, the temporal dynamics of information systems, user modeling and personalization, novel interfaces for interactive retrieval, and search evaluation. Dumais’s previous research studied a variety of information access and management challenges, including personal information management, desktop search, question answering, text categorization, collaborative filtering, interfaces for improving search and navigation, and user/task modeling. She has been co-organizer, co-chair or a collaborator of related colloquia, consortia and workshops, and she has authored and co-authored many papers. A recent award is the Indiana University Department of Psychological and Brain Science, Lifetime Achievement Award, 2016. 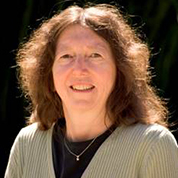 She is also the recipient of the 2014-2015 ACM Athena Lecturers Award, which honors a preeminent women computer scientist who has made fundamental contributions to computer science.